Shadowhunters season 2 is almost upon us! And boy are we being spoiled with these new photo releases! 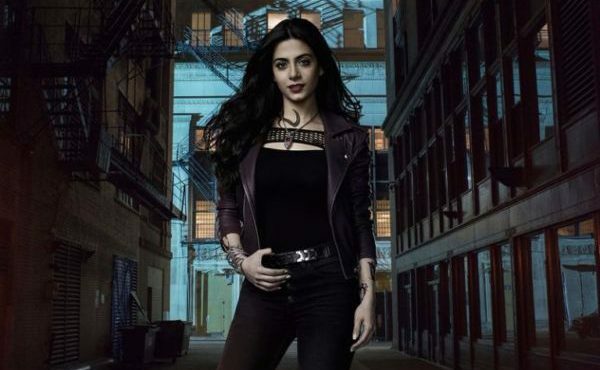 MTV News debuted exclusive character posters for Shadowhunters‘ upcoming sophomore season, which will be featured under new direction of showrunners Todd Slavkin and Darren Swimmer. The new posters, which feature Clary, Jace, Simon, Isabelle, Alec, Magnus, and Luke, feature New York City as the backdrop as Shadowhunters channels its Mortal Instruments roots. Slavkin spoke to MTV News and teased that Shadowhunters‘ second season will reflect the tone of Cassandra Clare’s The Mortal Instruments books. Which character poster is your favorite?